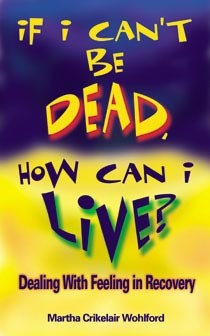 If I Can't Be Dead, How Can I Live? While the book primarily focuses on women, it is a helpful tool for anyone living a 12-Step program. It is a journey of recovery from awareness of the problem, through treatment and life after treatment. Anyone who thinks alcohol may be a problem in their life will identify with the women who share their stories, their innermost thoughts and feelings. Most important, the book gives suggestions for dealing with everyday situations as a sober, healthy person. The theme is simple: I can't, He can, I think I'll let Him. In the course of writing the book, the manuscript was shared with several women in recovery and with a close friend who thought she might have a problem with alcohol but who was too frightened to go to A.A. Reading the first 60 pages gave her the courage to go to her first A.A. meeting and she's been sober ever since. 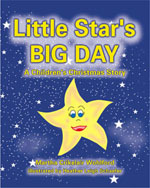 So, before even going to press, the book was a success! Desperate, out of hope, afraid of dying yet afraid to live...covering up, making excuses, wanting to stop destructive behavior...every person who has known despair can relate to this book, but especially the woman alcoholic. It is written from the heart to touch the heart, a journey of recovery, from awareness through treatment and beyond, to everyday life situations. It's an upbeat testimonial of women sharing their innermost fears, their struggles, their triumphs, of staying sober no matter what happens. It's a hand outstretched to anyone who wants a healthier life, who wants to climb out of a black hole, to deal with feelings that have been dead for years. It's for anyone who wants to live as a happy, sober, aware, emotionally balanced person. The women interviewed have "been there," and have conquered their fear and despair. They generously share their struggles and stories of 12-Step recovery to help others. She is a graduate of St. Mary's College, Notre Dame, Ind., where she majored in English Literature and Creative Writing. Her career began as a feature writer/editor for several newspapers, including the former Fort Lauderdale News (now Sun-Sentinel). She established her own public relations firm in the early 1970s, and her combination of photography, writing and graphics skills have resulted in numerous brochures, catalogs, ads, and image pieces for a variety of clients. Marty lives in Fort Lauderdale, Florida but, as often as she can, goes "home" to an island in the Bahamas where she nourishes her spirit. ISBN: 9780978798123. Published by Serenity Press. 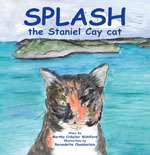 Another book by the author (fiction)...a novel that takes place in the Bahamas.